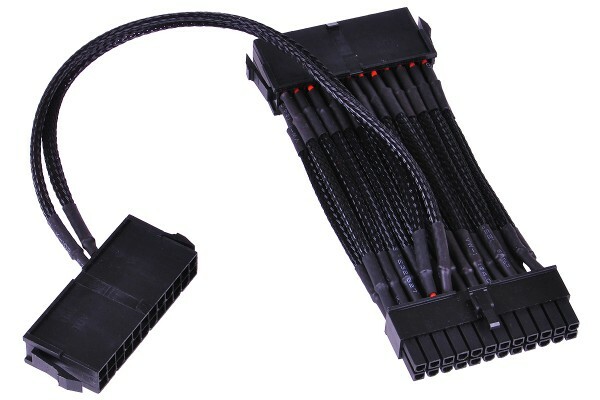 This cable permits operation of two PSUs in one system with one power button. Integration of this cable is extremely easy: Connect the first PSU to the Mainboard as usual, and connect the second one with the additional ATX plug. Of course both power supplies need to be connected to a 230V mains supply. Now both power supplies will start simultaneously when the power button is pushed, and both will also shut down when the system is shut down. The advantages of Dual PSU use are great!